Details : This nice and very traditional looking Blitz bus has too work for its keep. 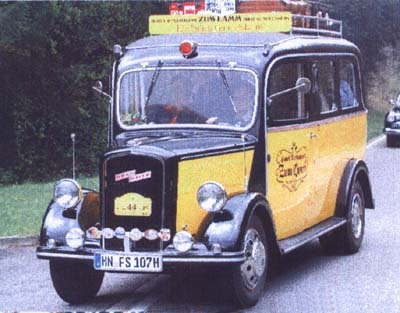 Famous German masterchef Fritz Schmidt uses it as a service vehicle. I would loved to be picked up by this hotelbus when in town!